Uber has had a rough go of it recently, what with the highly publicized problems with its corporate culture, the resignation under fire of CEO Travis Kalanick, and the increasing tension with its drivers. While only time will tell how the company deals with the first two issues, an announcement made yesterday may help address some drivers’ qualms. 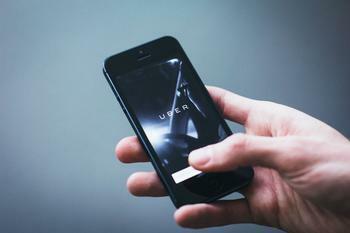 On its company site, Uber said that it will now allow drivers nationwide to take home tips from its passengers with the Uber app. The new function has preliminarily rolled out in Seattle, Minneapolis, and Houston, but the company plans to make it available across the U.S. by the end of July. Uber says that drivers, riders, and UberEATS customers will be notified when the new function is available in their city through the Driver app and by email. To start collecting and making tips, all parties will have to update or download the latest version of the Uber Driver app, close and restart the app, and then tap “Accept Tips” in the settings. After that’s done, riders will be able to leave a tip when they rate their driver at the end of their trip. Unlike a regular taxi trip, though, riders will have 30 days to make a tip and don’t have to do so right away. On the tipping screen, riders will be able to find a list of suggested tips, but they can also enter in any amount they choose. Uber says that all tips made on an Uber ride go completely to the driver, and that the company won’t be taking any commission or fee beyond what it currently charges. Presumably, the tips will be reported to the IRS, however, which is not the case with cash tips that many consumers already bestow on drivers. The newest tipping update also adds a couple of other features that drivers will surely be happy about. Going forward, Uber says that drivers who are kept waiting by riders who aren’t ready will be paid a per-minute fee after two minutes of idle time. Additionally, Uber announced that drivers will begin being paid for last-minute ride cancellations. The company says that riders who cancel a ride two minutes after a driver has accepted the assignment will be charged a cancellation fee. Uber says that both changes will go into effect at the end of August.